Home > Find Battery Part Numbers > Apple MacBook Battery Part No. Apple batteries can be tricky because the battery technology changes every few years without changing the model number of the computer. It is especially important to get the model number from the original battery rather than the model number of the computer. Apple usually differentiates their computer model by year of production. 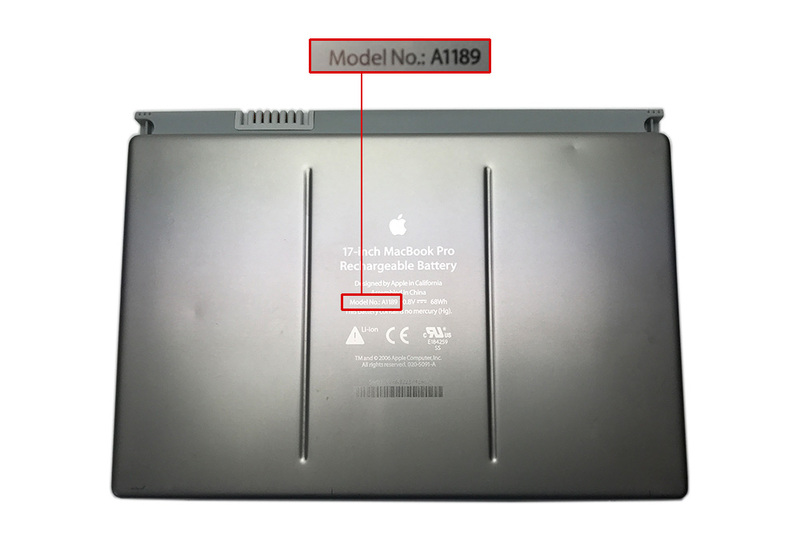 For example, the MacBook Pro 15” A1286 (late 2008), which is obviously less than an exact science. The model numbers are frequently hard to read on Apple batteries, but they are always there. Often the model number on the battery is like the model number of the computer, such as the A1281 battery for the A1286 computer.